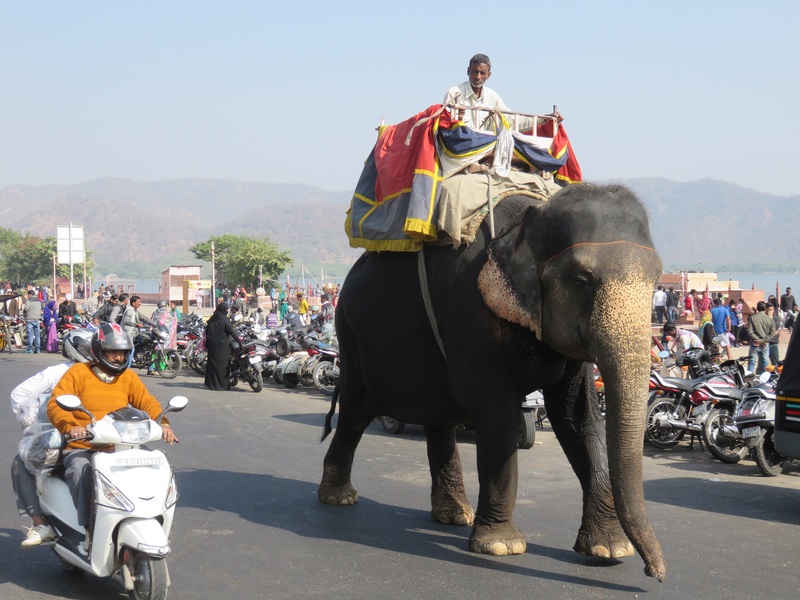 This morning, we both enjoyed the luxury of sleeping in before heading for a walk around the Man Sagar Lake to observe the beauty of the Jal Mahal “Water Palace.” We even got to see an elephant just strolling down the street amidst the motorcycles and rigshaws, and a camel just resting its legs! 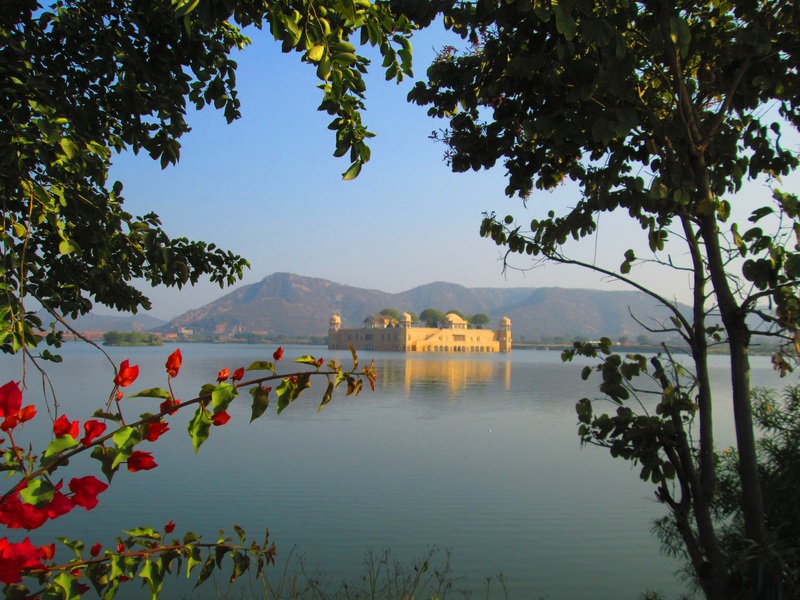 Interestingly, Maharaja Madho Singh I constructed the complex in 1750 intending for it to be a lodge for himself and his entourage during duck hunting parties, it was never intended to be a palace. 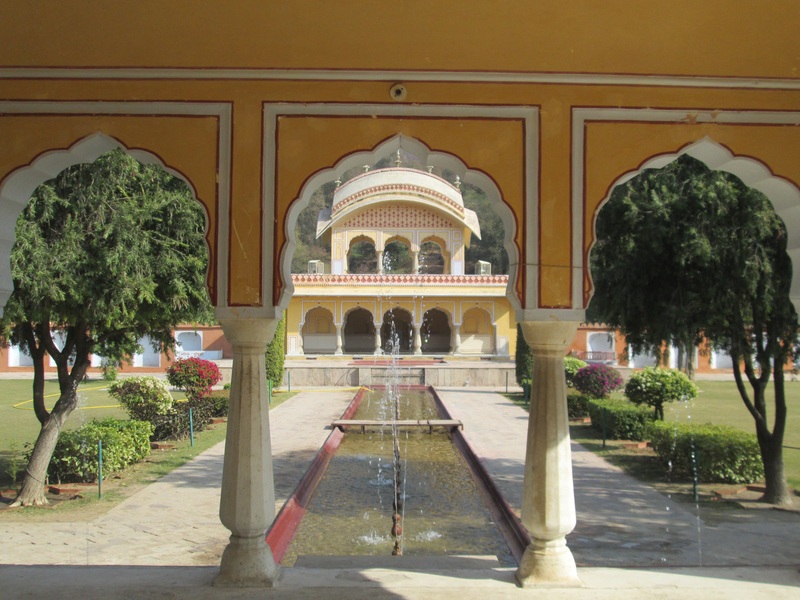 It is considered a classic example of Rajput and Mughal Architecture, and as we’ve seen often during our trip, composed entirely of red sandstone. There is a rectangular chhartri on the roof, and four octagonal chhattris on each of corners of the building. They are elevated dome-shaped pavilions that have become a signature of Indian Design. 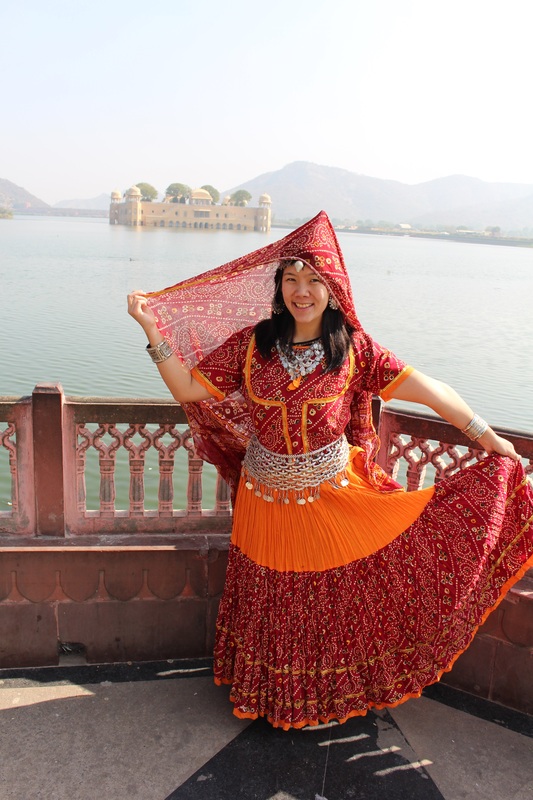 As we savored the nice weather and strolled along the lake, we came across a costume peddler and decided to have fun and play “dress-up.” The most awkward part of this, was when they wanted us to pose and take a picture as a couple. [Insert Awkward Turtle]. 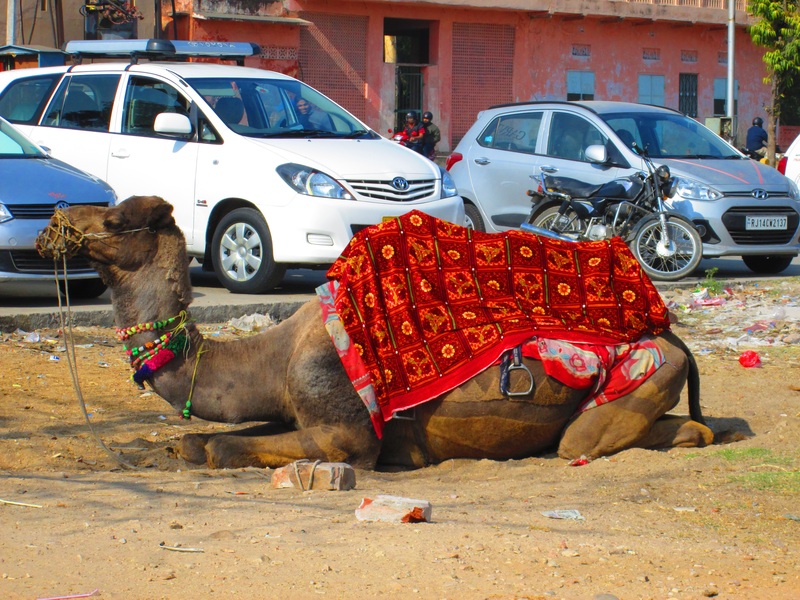 India is still a conservative nation, so when they see a man and a woman travel together, assumptions are often made. Additionally, seeing an Indian and an Asian together is almost an unheard of circumstance. Fortunately, Nick and I had a good laugh about this. We wandered the area and found ourselves a nice open garden to take a seat in and relax, before grabbing lunch and heading to hike up to Galta Ji. 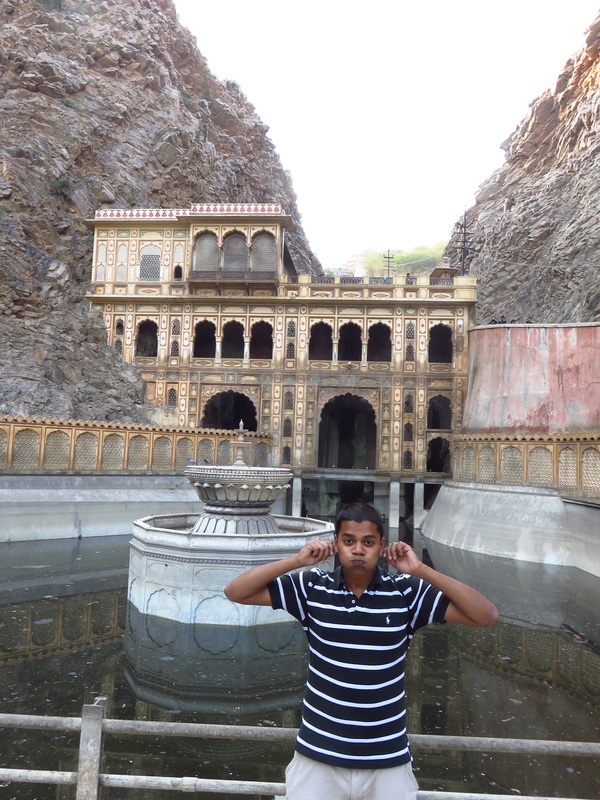 The pilgrimage site lies in the town of Khania-Balaji, just outside of Jaipur. 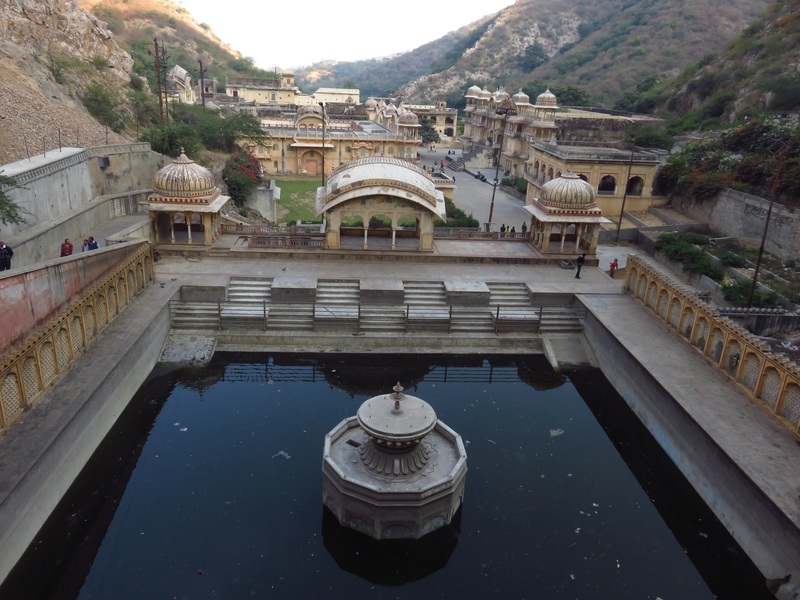 It is known for its natural water springs that accumulate in tanks “kunds”. Thousands come to bathe in these waters every year as it is considered auspicious. Additionally, some believe that the Saint Galav lived here. He meditated, did penance, and survived for years just drinking cow’s milk. 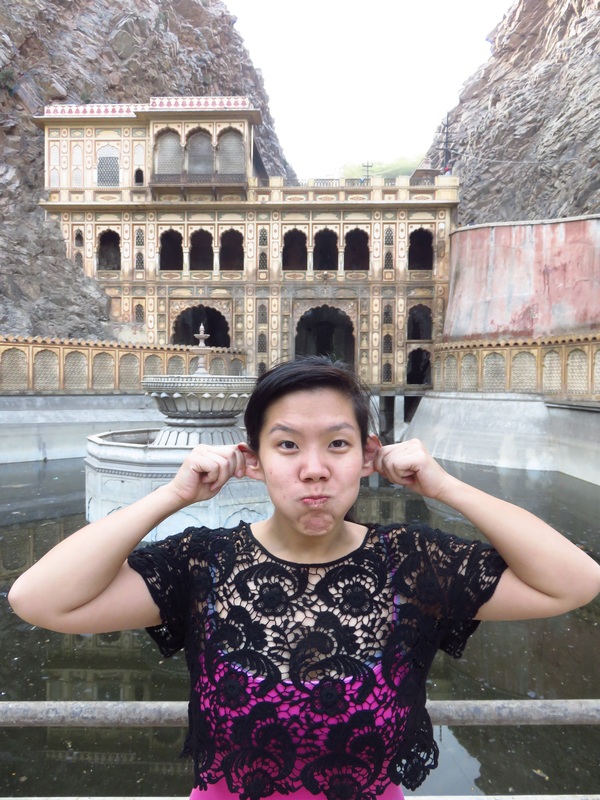 Galta Ji is also commonly called “The Monkey Temple” as a tribe of monkey lives there. Nick was being mean and joking that he had reunited me with my family. T.T. I’ve self-perpetuated this ongoing joke when, a few years ago, I discovered that my strangely shaped thumbs coincidentally align with the thumb shape of a gorilla. 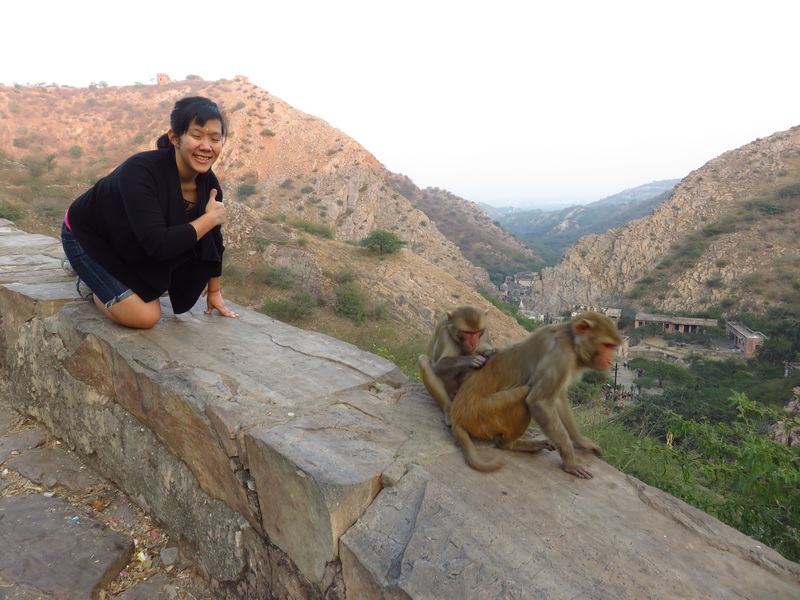 It is all in good fun though, and I enjoyed getting up close and personal with my brethren.